The previous Hyper Japan event had been host to a ‘super group’ of UK performers dubbed the KP All Stars. The idea seemed to be quite successful and demonstrated that many different artists could work together. Under the guidance of Andy “Kleptopenguin” Lee, this concept has been expanded to produce Natsu Master – a much more ambitious collaboration that combines the talents of Kelsey Ellison, Scarlett Young, MK, Cinnamon Purin and MOE. 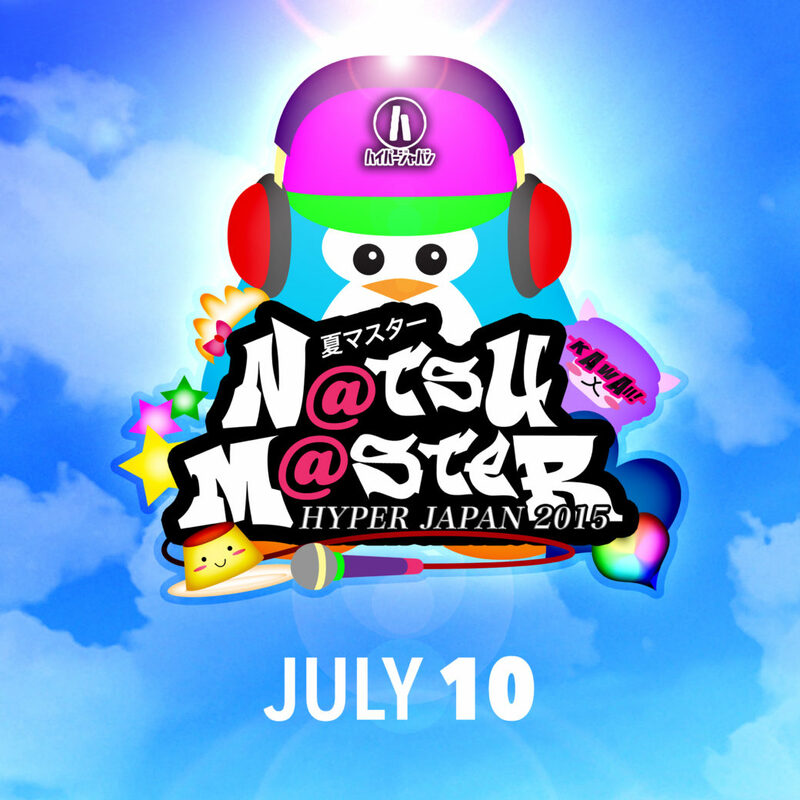 Natsu Master will not only see this artists perform on a single stage, but will also see some unique collaborations between the acts. Ever wondered what it would be like hearing idol vocals paired with operatic baritone? Fancied seeing a J-pop singer backed by some cute maids? Now at Hyper Japan you’ll get the chance. One of the most high profile rising stars of the UK performer scene, Kelsey Ellison was originally part of Oishii!Ichigo, the performance outfit orchestrated by Beckii Cruel (and whose finest moment was the pop perfection of ‘Gametime’). 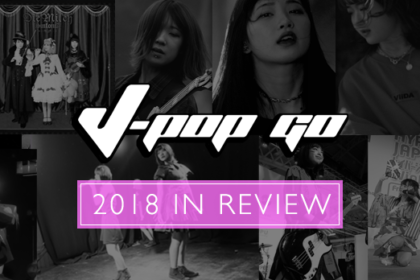 Since then, Kelsey has released her own single ‘Pom Pom’, built up a loyal following on YouTube and is a regular figure on the UK event circuit (including J-Pop Go’s annual showcase at Anime Attacks in Newcastle). Kelsey’s performance slots are notable for their combination of themed stage shows and choice tunes, including popular numbers such as the Youkai Watch theme and an inspired jazz-style cover of ‘Sorairo Days’ from Gurren Lagann. Outside of her solo performances, Kelsey is also part of dance outfit MK (alongside the likes of Scarlett Young and Finny Attridge) who will also be performing this weekend. Scarlett is probably one of the most talented singers that the UK performance scene has produced in recent years. 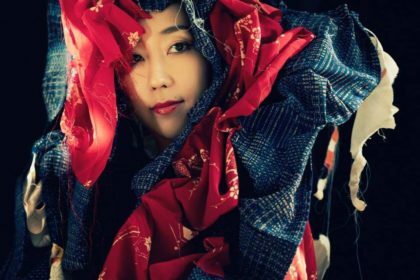 Amongst her successes are winning the UK Kawaii Star contest at Hyper Japan in 2011 and singing on Japanese TV show Nodojiman The World in 2013. Scarlett was also part of the line-up of Oishii!Ichigo. 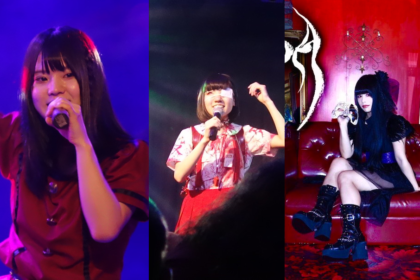 Performing at a number of UK events, including Japan Matsuri and LAGC, Scarlett demonstrates her raw power as a vocalist with renditions of songs from popular anime such as Toaru Kagaku no Railgun and Macross Frontier. Scarlett will also be support at our forthcoming Die Milch concert in Islington on 19th July. 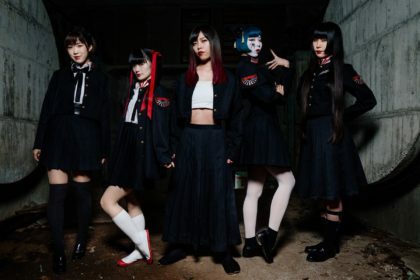 Active since 2010, dance group MK have clocked up appearances at a variety of events, including MCM Expo and Hyper Japan. The outfit is also well known for featuring the likes of Kelsey Ellison and Scarlett Young amongst its ranks. 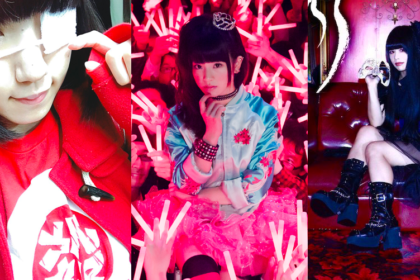 Originally created from mutual interest amongst J-pop fans on the MCM forums, the fledgling members decided to cover a Berryz Koubou dance and MK Dance Group was born. MK were a star turn at the 2014 Hyper Japan event. Decked out in elaborate matching outfits, sharp choreography and a good sense of formation changes, MK presented a solid stage presence, including an inspired routine to Babymetal’s ‘Gimme Choco’. 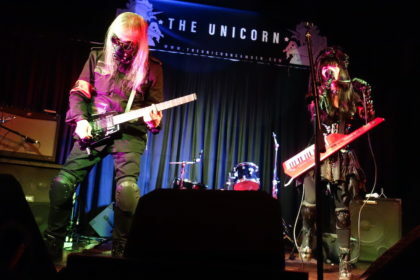 One of the long-established UK dance groups, Cinnamon Purin made their debut at an Aid For Japan benefit event in 2011. Since then, the outfit have performed at the likes of MCM Expo, London Film & Comic Con and LAGC. Now performing as a trio consisting of Finny (who also forms part of Marshmallow Llama Time), Lottie and Lizzie , Cinnamon Purin will be performing their particular dance routines to a selection of J-pop and Vocaloid classics. The Christmas 2014 Hyper Japan saw a new dance outfit making their Hyper Japan debut. The Wish Sisters, aka Alice, Amelia and Elizabeth displayed a confident stage presence and some smart choreography for a number of tunes, including ‘START:DASH! !’ from Love Live!. Since then, The Wish Sisters have been building a YouTube audience and performing at select events, including the LAGC. The outfit will also be joined by a special guest for their Saturday performance. Andy Lee is a UK performer who appears at events as himself and also under the guise of Kleptopenguin. Using a multitude of talents, including singing, keyboards, dancing and MCing, Andy has also clocked up a number of awards for his performances, including the Megan Lee Destiny Cover Contest Winner 2011, London Anime Con Talent Show Winner 2014, Moshi Moshi Nippon! LIVEDAM Karaoke Contest UK Winner 2014 and HYPER UTAU Karaoke Contest. From this September, Andy will be officially retiring from performing live at conventions and events as Kleptopenguin in order to focus on other musical pursuits. Meanwhile, he’ll be coordinating the Natsu Master performance and also collaborating with some of the other artists for their shows this weekend. Sunday will see the final Kleptopenguin performance, which is planned to be a little different with the inclusion of Kai (formerly of London-based J-rock band Esprit D’Air) and wishesinajar (YouTube musician and Vocaloid cover artist). Momoiro Otome Ensemble (M.O.E) are a Meidol (Maid idol) unit which is an offshoot of Maids of England a London-based maid cafe group. Although Maids Of England staged their own standalone events, Momoiro Otome Ensemble was a spinoff that made their debut at the LAGC in 2014. M.O.E. are a regular feature at many events, including Hyper japan, with their own brand of doujinshi, anime, J-pop and idol songs.